Investor confidence is up for the first time in four months, boosted by optimism about the upcoming general election, domestic economic conditions and January's foreign capital inflows. 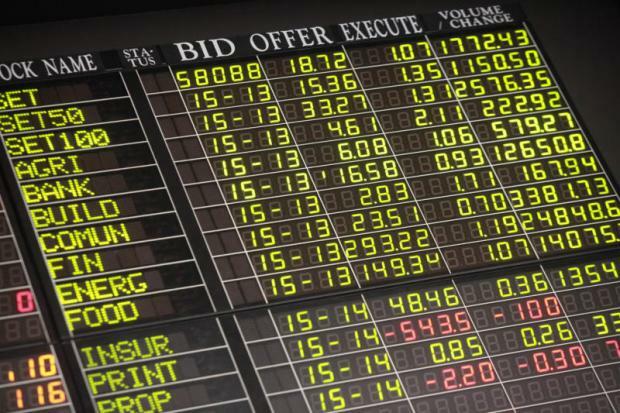 The investor confidence index (ICI) for February to April remains in neutral territory, but it edged up sharply to 116.76 from 92.75, according to a monthly survey by the Federation of Thai Capital Market Organisations (Fetco). An index below 80 points is considered bearish, 80-120 is neutral and over 120 is bullish. The uplifting investment outlook for the next three months is attributed to the clarity of the general election date, confidence in Thailand's economic growth trajectory and easing concerns over the US Federal Reserve's monetary policy tightening, said Fetco chairman Paiboon Nalinthrangkurn. Fetco's survey is consistent with how the Stock Exchange of Thailand (SET) index has risen by 5% from year-end 2018 after the Fed signalled a more cautious interest rate normalisation. Foreign net inflows into domestic shares were detected as the main force behind the recent stock rally. Rising confidence is seen across different investor groups, with foreign investors' confidence rising to 150 from 100 previously. The confidence of brokerage firms rose to 133.33 from 116.67, while retail investors' confidence climbed to 89.67 from 70.63. Institutional investors were the only group that saw a dip in confidence, falling to 118.8 from 138.89. "Foreign investors were net buyers of Asian equities, excluding India's stock market, last month," Mr Paiboon said. "This was the first time in 15 months, since October 2017, where foreign net inflows returned [to Asian equity markets]. The stock market outlook is poised to improve, given [continuous] foreign net inflows." Earlier, Fetco reported that the ICI for three months ahead, running from December to February, declined for a third straight month, by 5.3% to 92.75. The confidence of retail investors previously dropped into bearish territory and reached a 39-month low. Tourism is identified as the most interesting sector to invest in, while media and print media are the least interesting, Mr Paiboon said. Domestic political developments are the main factor helping to boost the SET index, while geopolitical tensions are a drag on investor confidence, he said. "Investors are still keeping a close watch on the Sino-US trade negotiations, domestic political developments and the stability of an [elected] government after the election, the continuity of public policies and factors taking a toll on global economic growth," Mr Paiboon said. Issues affecting global growth prospects include Britain's ongoing negotiations with the EU on the Brexit deal, lower-than-expected economic readings of countries in the euro-zone bloc, China's economic policies amid a slowdown in the Chinese economy, and the US dollar's movements, he said.